Epsilon Multivitamin and Mineral Complex provides you with a convenient way to get all the essential vitamins and minerals you need in one tablet. Containing Vitamins A, C, D, E, B1, B2, B5, B6, B12, Zinc, Magnesium, Iron, Manganese and more, it’s the perfect way to get your RDA of essential vitamins and minerals. Our unique formulation ensures your body gets all the essential vitamins and minerals it needs with just one tablet a day. Vitamins and minerals are essential for many functions in your body to ensure you stay in good overall health. Vitamins play a vital role in helping your body work properly and ensure you have healthy skin and hair as well as a healthy immune system and digestive system. By helping you to keep in good all-round health, they can help you to better cope with the strains of daily life. And because our Epsilon Multivitamin and Mineral Complex also includes Korean Ginseng, it can help to provide you with the energy boost you need to be at your best every day. Not getting enough vitamins and minerals in your diet can cause a wide range of problems, and different vitamins have different effects on your body. 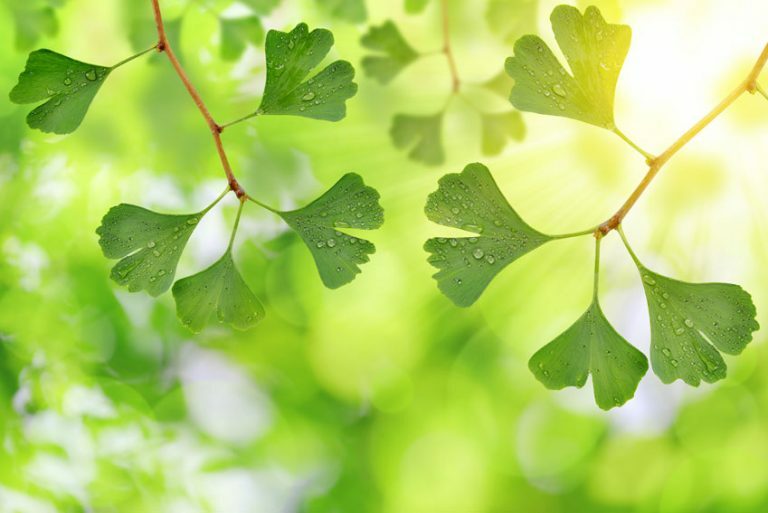 For example, a Vitamin D deficiency can lead to health problems like rickets in children, Vitamin A deficiency (VAD) can lead to nyctalopia, or night blindness, while Vitamin B12 deficiency can make you tired and lightheaded, give you pale skin, cause constipation and even lead to vision loss. As such, these vitamins are all essential, so it’s important to make sure you get enough of them in your diet. You can get all the vitamins and minerals you need from eating a healthy balanced diet, but many people choose to use Epsilon Multivitamin and Mineral Complex as well to ensure they are getting enough of what they need. For example, you might not get enough of some vitamins like B12 if you follow a vegan diet, making supplements an excellent way to get all the vitamins you require. 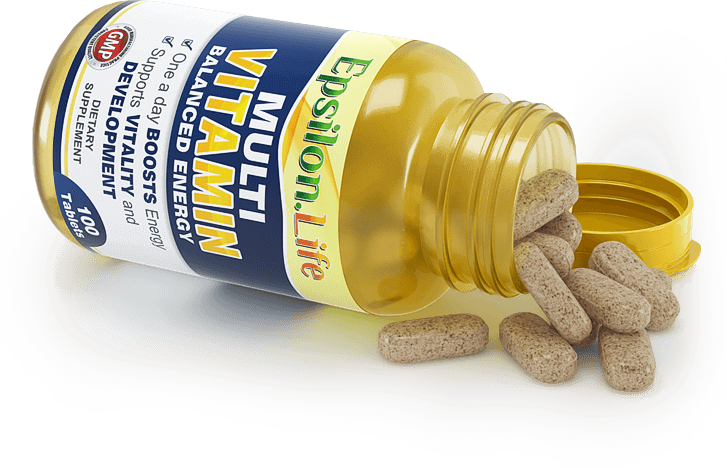 Why Choose Epsilon Multivitamin and Mineral Complex? We take our customer service very seriously, and we always want you to be 100% happy with your order. For that reason, we are happy to provide a full 60-Day Money-Back Guarantee when you purchase your Epsilon Multivitamin and Mineral Complex. If you are not happy with your purchase, all you have to do is return it to us for a full refund. Give me a very good boost for the day. These multivitamins are the first ones, ever, that once swallowed (I do not have any problem, even from the second attempt, sometimes) and dissolved in your stomach you do not have the taste of them back to your mouth, like most of the multivitamins…it is unbelievable. This is the third time I am taking and I was struggling with some shoulder pain, now is gone. I am not sure if is the result of these pills……maybe I had some deficiency of vitamins in my body, who knows… If is 100% natural made, I expect bioavailability to be the same, no waste at all. I will buy it again, no headaches again, with full energy all the day..
It’s crazy what a tablet can do, in bought these before because I always wake up feeling tired, fatigued and often feel like a cold was coming on indefinitely, after taking the first pack for around a week or 2 I noticed waking up at a normal time feeling the desire to jump up and get on with my day, the cold symptoms faded away, I would not tire out walking to places, and it just feels like everything from your mind to body has more energy and it’s hard to describe. They take time to kick in but they do help. I also known to have lost a little weight and my spots skinned seems better too. But the energy and less fatigue is the most noticable. A great product! Could really use a better coating. These have an abrasive texture so easily catch the surface of the throat making them a little troublesome to swallow. I take a lot of supplements every day, and most go down with ease apart from these which I often need to poke right into the back of my throat and have 2 -3 tries of gulping water to get them down. If they have a waxy texture to the outside they would go down a lot more easily. I cannot comment on the contents yet, as not noticed anything significant. Great multivitamins, have been using them for a while, no issues. Although competively priced, customers could find them bitter tasting due to the lack of a coating on them. As soon as you put them in your mouth they start to dissolve, which can be off putting. I find no discernable difference to my regular multi-vitamin as yet. But good value. Good value for money & easy to swallow. Great way to get extra vitamins & minerals that may have been missing from my diet. Amazing multi vitamin to give your body a boost. Best one in my opinion, gutted mine came and a hand full of snapped tablets. Awkward to take due to that. Other than that I highly recommend this multivitamin. Very strong and horrible smell to them so they must be good. After having my large intestine removed i struggle to get full vitamin absorption but feel much more energised since taking these. Your products are good, I will recommend it to my friends. Really good tablets, that are not loaded with ultra high levels of vitamins, so probably safer to take. I am on my second pack. These have me feel so much better lately im hoping the biotin will help with my thin hair and nails also . Not very inspiring the smell made me want to return plus excessive email makes feel there may be something wrong. Since I have been taking this Multi Vitamins I have become less tired, my dodgy digestive system has settled down and I definitely feel the benefits from taking them. The only downside is a horrible taste in my mouth, but I can put up with that as like I said I feel so much better. So far, so good! Will update in a couple of months. Love this product, seems a very natural multivitamin. I will be sticking with this one I think. Good quality vitamins,the whole family taking these,like the fact they have extras like ginseng,ginko,good they are vegetarian,british made. Take one per day great, hair good skin good . Love that these are suitable for vegetarians. Good quality and do the job well. I also like is that these are supplied by a small family-run business and the customer service is really fantàstic. I decided to do some research and finally came across the Epsilon Multivitamin and Mineral Complex tablets. After reading through the ingredients and RDA of its contents I decided to take the plunge and buy them.The price was good and the size of the pill is no bigger than a typical Paracetamol. If you’re looking for a good quality Multivitamin at a good price then I don’t think you’ll go wrong with the Epsilon Multivitamin and Mineral Complex. You get 100 caplets in a bottle, lasts well over 3 months, it’s got 100% of all your vitamins and minerals for the RDA plus Korean Ginseng which anyone knows is an excellent energy and immune system booster. I also have tremendous respect for the fact that they are a family business with bigger respect on quality. A fantastic product with Korean ginseng and high quality vitamins included. It has everything you need and really does help towards stress reduction and immune system boosting. Will be buying this when the current stock is up. I suffered a stroke and get bad cramp in my legs bur this product relieves the pain. I brought the multi vitamin for my daughter who was lacking in quite a few vitamins. I also decided to take them as well. We have been taking them for over 3 weeks now and both have notice that our nails are a lot stronger than normal, we both suffer from dry skin and notice that our skin is a lot more radiant plus our energy level increased. Apart from the smell I would definitely recommend them. I love these multivitamins, i’ve been taking them for 2 weeks now and i can already feel a slight difference in my energy levels which was zero so i can’t wait to see the results in the future! A family business that genuinely care about their buyers which is rare! Great Multi, along with the Vitamin D3 I use everyday. The Vitamin D3 and multi (mainly 5000 IU Vit D3) have contributed to me dramatically increasing my testosterone levels from low (290s) to medium / good (600) in a short time phrame (4 months). The Vitamin D3 and many other diet / lifestyle changes primarily contributed to that however not the multi solely that will not do much, the vitamin D3 will though if you are deficient which is likely in the cold UK western world. I plan on taking the Vitamin D3 and perhaps aswell the multi forever. The D3 5 stars the Multi 4 Stars they could maybe make it a little stronger regarding mg per ingredient however. The arrival time was good as was everything else but I could not comment on the vitamins as I noticed they contained vitamin K. I am on Warfarin so can’t take that. Great product. I feel much better after taking them and I have taking them from 2 months. Recommended. Been taking one a day now for around 4 months and definitely feel much better for it. I feel like I have more energy. I started taking it as I’m a new mum to my first and seeing as I’m always on the go I felt I was skipping meals and more snacking so I thought I needed some additional help with some multi vitamins so decided to purchase these. It’s taken a while for me to write this review as wanted to give these tablets 3 months at least before I did. These tablets are fab, I have more energy , skin is looking better and people are saying how well I look. Will be ordering these regularly and updating review again in another 3 months . Highly recommend . been taking this product for four days now , although early days i am noticing a little more energy and alertness, delivery was fast and the tablets are easy to swallow,think i may have found a product that actually works. A good balance of vitamins and minerals in a once a day tablet. Good quality and value for money. Many thanks. It has been a pleasure to deal with this company. They provide their customers with a first class service, which is rare in this modern age. Their product arrived very quickly and appears to be a very high quality. The company also supply their clients with very comprehensive details of the ingredients, and benifits of the vitamins and minerals. I will do an update in a few weeks of how I get on with these tablets. I’ve noticed a definite improvement in my overall health since I began taking these. I also really appreciate the customer service! first class service from ordering to after purchase communication.bit early to see results from vitamins but if they match up to the excellent customer care I’ll be very happy. Ive used these for 3 weeks now and I can feel the difference. Before I tried to get all of my vitamins and minerals only from healthy foods but it got tiresome because of the sheer volume of greens I had to consume per day (and the cost was huge). When supplementing with these vitamins I experience many of the same benefits as when I was on my super healthy diet. We are very happy with our vitamins and mineral complex. We have only just started to take them and we are looking forward to good results! They arrived quickly, and the service as been excellent, thankyou! I’ve been taking these for just over a week now, and definitely make me feel more energetic. Very good value, and excellent service. Hi, i have always used multivitamins but don’t really ”feel” any changes, but take them because maybe they are helping in some other ways as i don’t really eat that healthy. but this product i have been taking for 2 weeks now and actually feel the more ”alert” and more energy through my days, weras before taking this i was feeling lethargic, groggy when waking up, and constant brain fog, and even some depression, but no more with this lovley pill 🙂 thankyou so much epsilonelife!! Great Vitamin, I have being taking it for some time now and will order it again. I have always been taking different vitamins, so I cannot really tell I have noticed a big difference. But great price and great customer service. Good value for the money a full 3 months supply you don’t have to buy any other, vitamins as everything is here in the pills. Feel good took a few days to feel the difference but you can, first time I have used vitamins and yes they really work. I have tried other vitamins cheap and more expensive that don’t work. But these do. Since taking these tables I have been feeling more energised, I seem to be able to concentrate more and generally my mood has improved. Can’t say it’s all down to the tablets but I will keep taking them. The only problem I had to begin with was the size of the tablet. I found them extremely difficult to swallow. I’ve now resolved that problem as I found that if I recline my head backwards whilst lying down on the sofa and then swallow the pill it goes down with no problem. 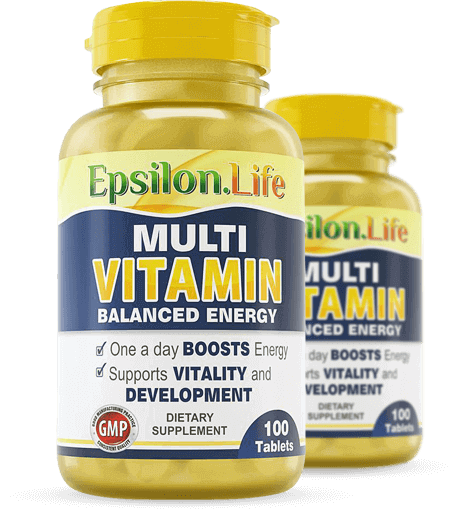 Epsilon Multi vitamin and mineral supplement have become part of my busy daily routine and i do notice the benefits of having them in my life…..my get up and go is significantly boosted. Good Vitamins. Husband and I both tried these as a cheaper alternative to our regular vitamins. So far we have been very happy with them and will be ordering again in future as we need to. Love these vitamins, they give me a nice buzz of energy first thing in the morning, feel much better when taking them. Saw others giving their review about this and thought I’ll try it out. Delivery was fast, and if the product does what it says then Im happy. The price isnt to bad for 100 tablets. I have tried various multivitamins, these do seem to be be making a difference in terms of feeling more energetic and positive. Great product and great value with excellent customer service. Already feeling the benefits. Thank you! Updating my review as I’m on my second purchase now. Feeling much less tired and have more energy to get stuff done. I take these along with the Epsilon Vitamin D tablets and my Winter Blues seem banished. Thanks again. Very happy with these multivitamins. You get a subtle energy boost. I’ve never taken multivitamins before. I highly recommend these, if you need a boost for the day. For a long time I needed a multi vitamins that really make me feel more vitality and overall feeling healthy. I must say Epsilon for the bill and now I’m recommending them to all my friends at university to give it a try. Well done Epsilon with your great product and fantastic customer service. I have used this supplements for nearly two weeks, and I feel more energetic. I haven’t used it long enough to see definite changes, but with no side effects or unpleasant use, I think it will have greater results with time. I recommend this product. These vitamins gave me my lost energy that I had before. I am a father of twins working full time and doing a masters at the same time. I can only say that without them I couldn’t manage. Thank you very much. My doctor prescribed several vitamins for me (A, B1, B12, C, D, and E), plus minerals like zinc, copper, and selenium. Here, I get all those vitamins and supplements in one product, plus other things like iodine, vit K, ginseng, ginkgo biloba, and biotin. My impression so far (after about two weeks on this product) is that it is a very good and high-quality product. I was impressed with the customer service (very quick delivery, friendly and helpful customer service) and, since each bottle contains 100 pills and lasts three months on recommended dosage, it is also a price-worthy alternative. i have only take them ..for a few days so cannot say much but so far I feel ok. arrival was good look like it work out find,,, nice package on y u must take vitamins but have to gave four stars it a short time for customers ..must have about 2 weeks to give a good positive answer..
Good product. I have been using it since August 2015 and it has had good impact on my general wellbeing. I take them before gym and it helps. The two criticisms would be: 1. Do not push customers to give a 5 star feedback as it would have the opposite effect, if you are confident that you are good you would earn it anyway!! 2. The tablets would be easier to swallow if edges are smooth and round. After a week felt my energy levels are better and didn’t drop so much in the afternoon. Feel more positive. A better result than the previous multivitamin tablet I took. As a powerlifter I feel I need something that is more than suitable for the job and these to me work very well how can I tell, fingernails have grown very fast since taking these, a visual sign that the human species needs before they believe anything. I would suggest these to any looking for a good strong multivitamin. May Gods light of love bless you all. Unfortunately this product gave me a bad stomach for 4 days so I cannot continue with them, the cost to return them if over half the cost of the product and therefore not worth it but I will not be ordering them again, I do however believe that if you do not have a sensitive stomach then they seem to be high quality so may suit others. Highly recommend these vitamins. Great combination to fight off infections, revive you and protect your cells from free radicals. Very important to take a good brand of multi vitamin. Most foods today are stripped of its goodness so taking one of these will give your body what it needs to be strong and live long. Really happy with the service. Arrived following day, seems good quality and good price as well. Previously I was using Holland & Barratt’s own brand, so in few weeks I will be able to tell how good these tablets are. It is a family run business and they are quality focused and also supports MS foundation. So all the good reasons for me to buy again from them. Thank you. Multi-V….taste not so great though but i guess thats normal. Have only started to take these for a week or so but they do seem to help me thank you will try these again. these are the first multi vitamins I’ve tired in a long while, been taking them for just over a week now and noticing an increase in my energy levels and general fell good within myself, the shifts i work rotate between very late and very early start times, there is a lot to chose from out there and i chose these. Great product works well for me. I crossfit and cycle about 180km a week so full on with little sleep and two kids and still going strong. Great add on to my supps will buy again and again! Good quality product. I have decided to take better care of myself including better sleep, better food/drink and taking these multivitamins. My friend is a dietician and recommends buying a good quality mutivitamin rather than from a supermarket. These look like they’ll do the job.